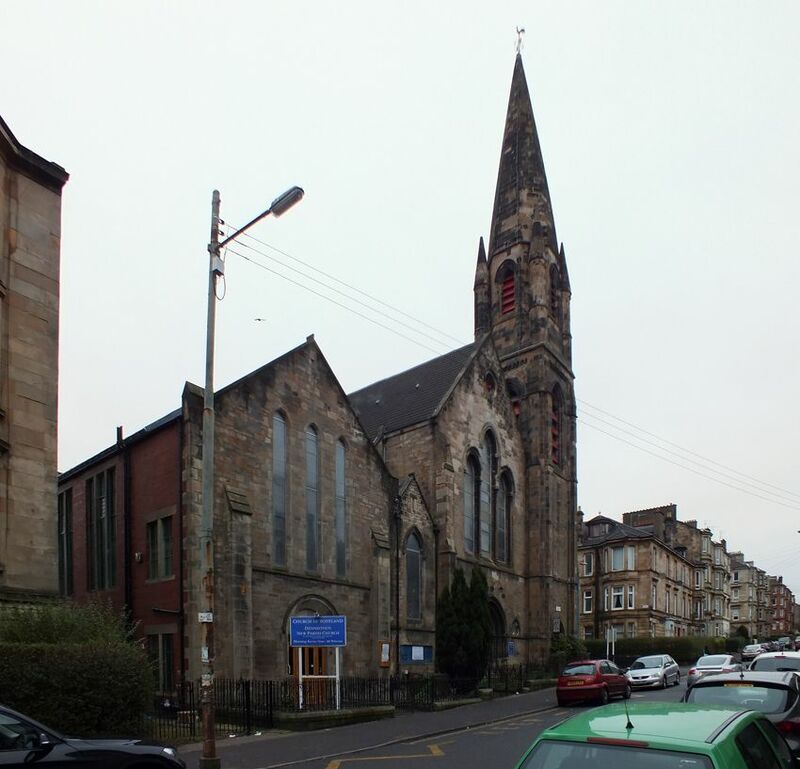 Dennistoun New Parish Church, 9 Armadale Street, Dennistoun Glasgow G31 2UU. Began in 1859 when Wellpark Free congregation started a mission in what was later known as the Porch Hall in East Miller (Millerston) Street. In 1872 the Porch Hall was bought by the railway company and services had to be transferred to a school and later to a ramshackle wooden hut in Whitehill Gardens. Of this structure it was said that it was not uncommon for the congregation to move from one side to the other to escape the rain, and it was accepted for umbrellas to go up during worship. The congregation was sanctioned and the church in Armadale Street was built in 1874. 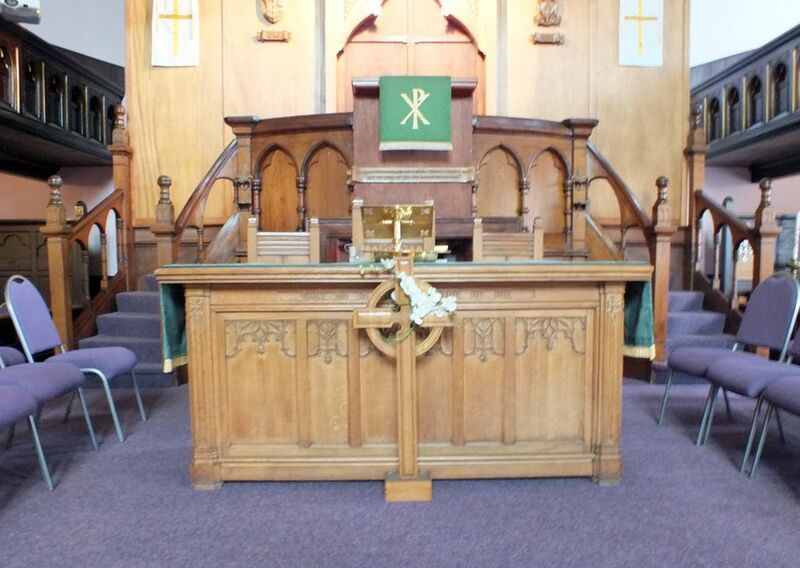 This was designated Dennistoun Free Church and later Rutherford United Free Church. Terminated on 24th January 1975 on uniting with Bluevale and Whitevale and with Trinity Duke Street as Dennistoun Central. 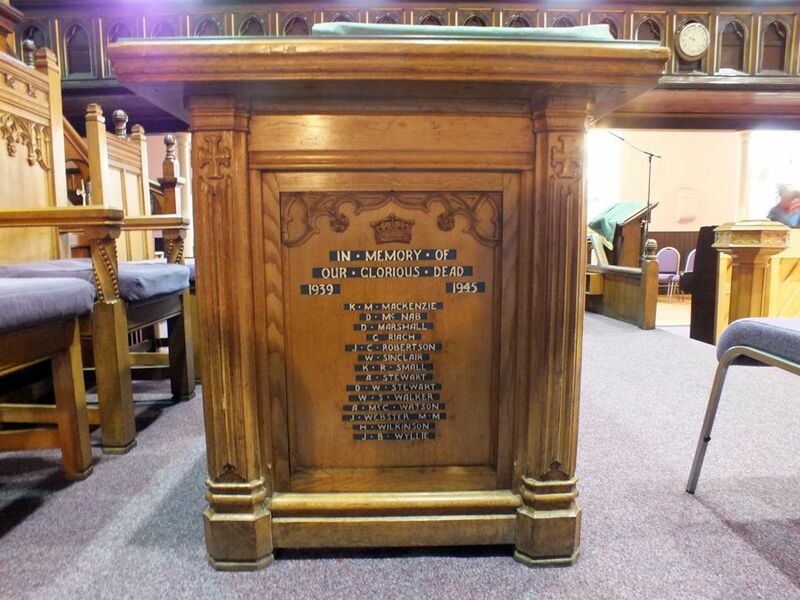 The church is now known as Dennistoun New Parish Church. 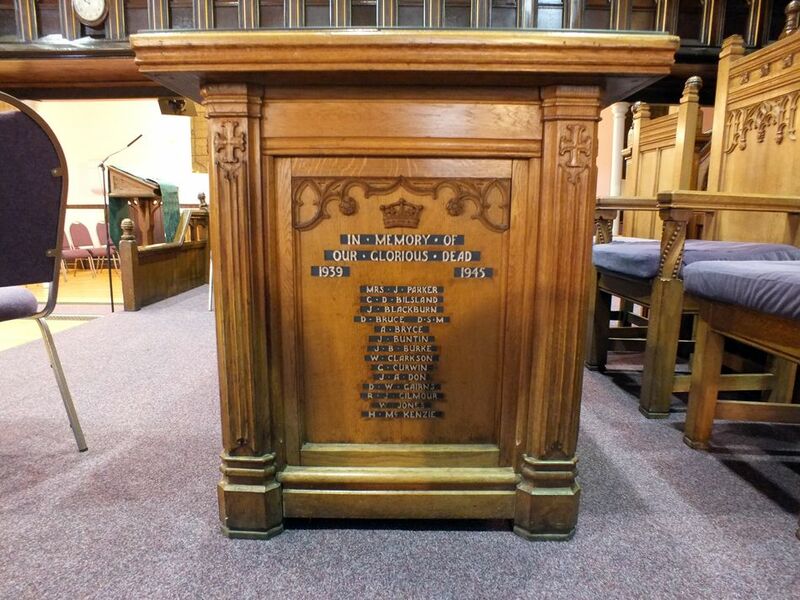 Many thanks to Jean Smith, Session Clerk of Dennistoun New Church, for allowing me to photograph the Memorial.